Ocala Post - Where's the beef? Ocala, Florida — Cattle rancher Rufus Lomsby reported that someone made forcible entry to his cow pasture, located at 6000 Southwest Highway 200, Ocala, and stole one of his cows. Lomsby told Deputy Matthew Schultheis that the gate to his pasture had been removed from its hinges. 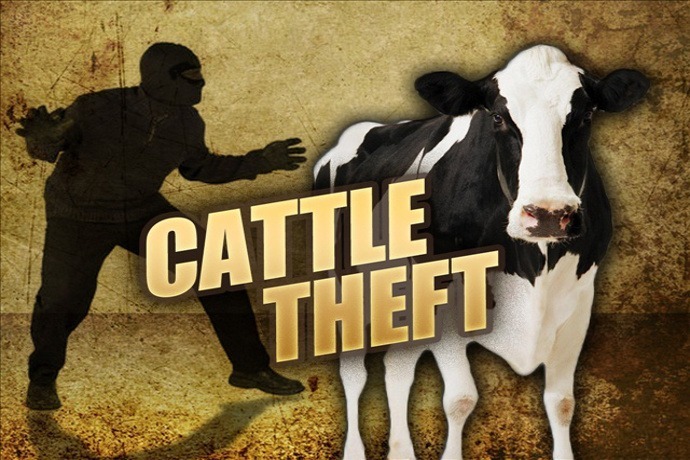 Once the suspect(s) gained entry to the property, a black Angus female cow was stolen, which was approximately $700 worth of beef. Federico Garcia, a witness from a nearby business, told Deputy Matthew Schultheis that he saw a skinny male, approximately 5 feet 10 inches tall, wearing a red shirt walking around the property. The unknown man was driving a light color, older model SUV. If anyone has information, please call the Marion County Sheriff’s Office at 352-732-9111, Crime Stoppers at 352-368-STOP, text a tip to 274637 using keyword 368-STOP, or visit www.ocalacrimestoppers.com. Anonymity is guaranteed.